A group including Bain Capital and South Korea's SK Hynix has raised its offer for Toshiba's chip business to 2.4 trillion yen (US$22.3 billion) including a 200 billion yen investment in infrastructure, sources familiar with the matter have said. The offer by the consortium, which is led by the US private equity group and the South Korean chipmaker as well as Japanese state-backed investors, was higher than an initial offer of around 1.94 trillion yen, according to the sources who requested anonymity because the talks were confidential. Bain and SK Hynix representatives were not immediately available for comment, while Toshiba declined to comment on details of the deal negotiations. The move comes after sources said Western Digital, which was part of a competing group in final-stage talks with Toshiba, had revised its offer. 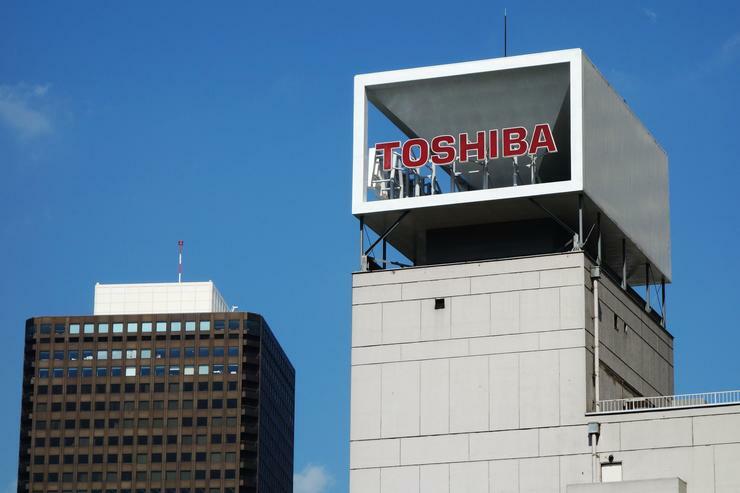 The sources said the US company would take a step back from the initial financing consortium to address Toshiba's concerns that a Western Digital stake could lead to prolonged anti-trust reviews. It was unclear what its latest offer was, but sources previously said it was offering around 1.9 trillion yen. Toshiba is desperate to sell the unit and cover billions of liabilities at its US nuclear unit Westinghouse. Last week it said it was considering three competing offers including one led by Taiwan's Hon Hai, also known as Foxconn. All three bidder groups have roped in Apple to bolster their offers, sources have said. Under their latest offer, Bain and SK Hynix offered to provide a combined total of around 567.5 billion yen, while Apple would provide 335 billion yen, according to sources. Toshiba would keep 250 billion yen in the business, they said. US technology firms and other Japanese companies were also expected to provide funding, while major banks were expected to provide a total of around 600 billion yen in funds, the sources said. Bain would have 49.9 per cent of initial voting rights in the memory chip business, while Toshiba would have 40 per cent and Japanese firms would have 10.1 per cent, the sources said. Toshiba's board is due to meet on Wednesday to consider the offers, sources said. Did Western Digital just win the bid for Toshiba's chip unit?